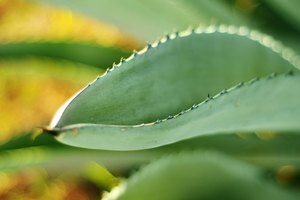 Aloe vera is one of the most useful and soothing medicinal plants. 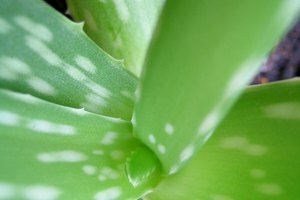 The gel inside the leaf is commonly used as a home remedy to treat skin conditions like sunburns and cold sores. Snap off a leaf straight from the plant and squeeze out the gel for a handy treatment for cuts or abrasions. You can even store the gel easily for a quick cure-all for future use. 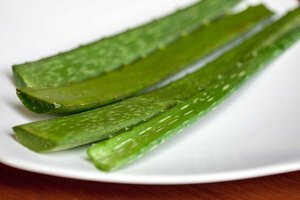 Using a sharp knife, cut off one of the outermost leaves of an aloe vera plant. Choose a leaf that's thick and green, and cut it at a slight angle, relatively close to the base of the plant. Stand the aloe leaf cut-end down in a cup for about 15 minutes to let the yellow sap, known as the latex, drip out. The latex is a laxative and needs to be removed before storage. If the leaf is small, there may be no latex dripping out. Cut off the tip of the leaf and slice off the serrated edges down the two sides. Lay the aloe leaf flat on the cutting board. Slice through the meaty part of the leaf so that you can separate the top and the bottom into two halves. Lay each of the two parts of the leaf cut side up. With a light hand, use a spoon to scoop out the clear gel from inside the leaf halves. Avoid pressing too hard, or you might get some of the latex as well. 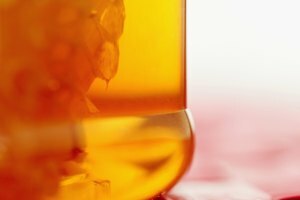 Place the gel in a food-safe container. Add a drop of vitamin E oil and a drop of grapefruit seed oil to the gel to prevent discoloration. Close the container and store it in the refrigerator for up to three weeks. If you need to use undiluted aloe vera gel, without the additives of vitamin E oil and grapefruit seed oil, you must use it fresh from the leaf.